"Thoughts and prayers" was one of the most widely used phrases in the wake of the Orlando shooting Sunday, perhaps most ubiquitously employed by those in high-ranking government positions. The sentiment lead the House of Representatives to hold a moment of silence for the victims of the attack, but one Congressman all too familiar with the devastating effects of mass shootings announced a bold and open rebellion against that silence, proclaiming that silence is part of the reason those 49 people were struck down by the shooter Sunday morning. The congressman from Connecticut's 4th district, where Sandy Hook Elementary School is located, Jim Himes, made a defiant speech before the House on Monday to denounce Congress' affinity for silence in the aftermath of mass shootings. "Sometime today or tomorrow, this House will hold a moment of silence for 50 massacred Floridians, who had their bodies torn apart by a madman with a military grade weapon. Silence. That is how the leadership of the most powerful country in the world will respond to this week's massacre of its citizens," Himes said from the House floor on Monday. "Silence. That is what we offer in America that supports many of the things we could do to slow the bloodbath. Silence. Not me. Not anymore." 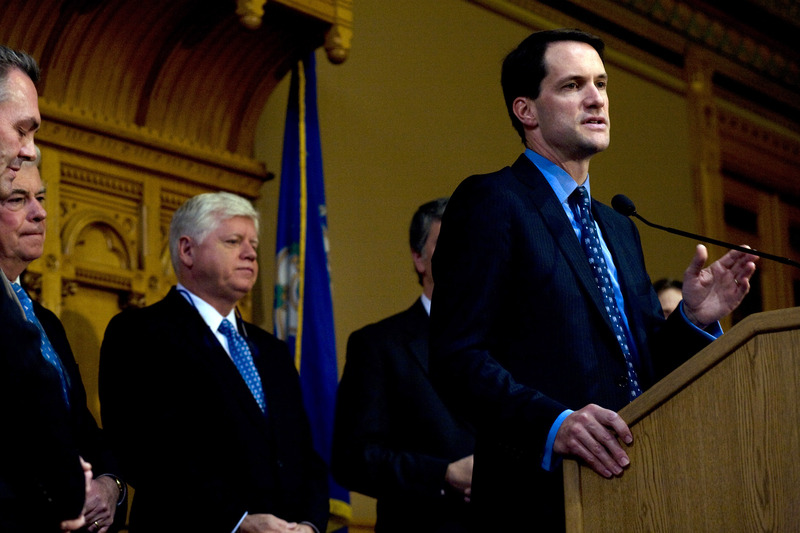 Himes' strong and moving statement set the tone for opposition within the House, which broke into forceful protest following the moment of silence held a few hours after Himes' speech. Speaker Paul Ryan lost control of the House as Democrats chanted "Where's the bill?" as a reminder of the lack of legislation enacted to prevent further gun violence. House Minority Leader Nancy Pelosi spoke for her party members and iterated the frustration of Democratic leaders at the House's unwillingness to pass new gun restrictions. "The fact is that a moment of silence is an act of respect, and we supported that. But it is a not a license to do nothing," Pelosi told reporters after the brief protest. "Members have just had enough of having one minute, a moment of silence on the floor, and then take no action." The intense and vocal reaction by Democratic representatives could indicate coming legislation on gun control as a response to the shooting, particularly after the congressional elections in November. Democrats are expected to make gains in the House and potentially gain control of the Senate, which would streamline liberal gun control reform. Although previous attempts to change policies have not been successful, the impact and severity of this latest mass shooting could tip the scales enough to finally force reform from the stalemated Congress.